Follow along to learn how Envoy Proxy and Istio.io allow you to easily connect and manage microservices. On this episode, we learn about circuit breaking. What is Envoy Proxy, and how does it work? How to implement some of the basic patterns with Envoy Proxy. This demo is comprised of a client and a service. The client is a Java HTTP application that simulates making HTTP calls to the “upstream” service (note, we’re using Envoy's terminology here, and throughout this repo). The client is packaged in a Docker image named docker.io/ceposta/http-envoy-client:latest. Alongside the HTTP-client Java application is an instance of Envoy Proxy. 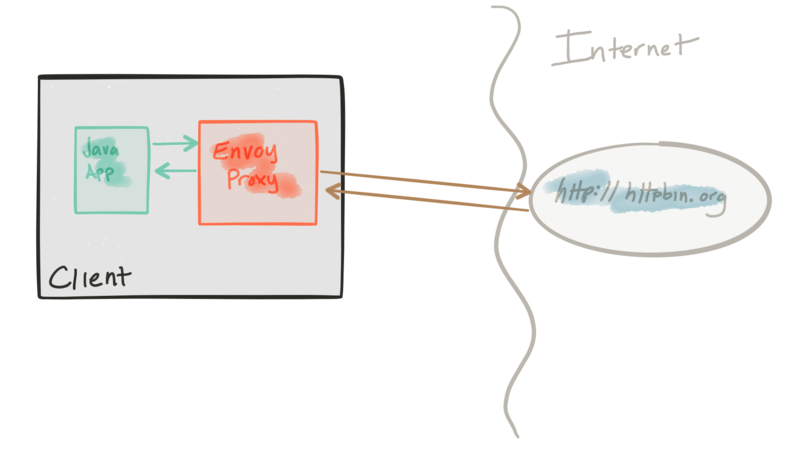 In this deployment model, Envoy is deployed as a sidecar alongside the service (the HTTP client in this case). When the HTTP-client makes outbound calls (to the “upstream” service), all of the calls go through the Envoy Proxy sidecar. The circuit-breaker demo has it’s ownenvoy.json configuration file. I definitely recommend taking a look at the reference documentation for each section of the configuration file to help understand the full configuration. The good folks at also put together a nice intro to Envoy and its configuration which you should check out too. Limit the number of HTTP/1 connections that we will make to the upstream clusters, short-circuiting them if we go over. Limit the number of requests to be queued/waiting for connections to become available, short-circuiting them if we go over. Limit the number of total concurrent retries at any given time (assuming a retry-policy is in place) effectively putting in place a retry quota. Our settings as they are don’t really make much sense; we cannot have three concurrent retries since we have only one HTTP connection allowed with 1 queued request. We don’t actually have any retry policies in place for this demo; we can see retries in action in the retries demo. We can see we tripped the consecutive 5xx detection! We’ve also removed that host from our load balancing group. Please stay tuned! Part II and III on timeouts/retries/tracing should be landing soon!